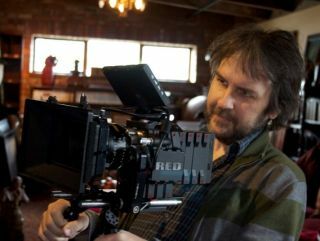 The Hobbit will be filmed entirely in 3D on 30 specially designed camera, with specialist RED confirming that director Peter Jackson will be using its wares. Jackson, the director behind the epic Lord of the Rings trilogy, is making a movie that is already one of the most eagerly anticipated for the coming years. The film, based on the book by JRR Tolkien and a prequel to the Lord of the Rings, will be shot on RED Digital Cinema's soon to be released EPIC digital cameras. "The Hobbit will be amongst the first productions in the world to use the EPIC and at least thirty cameras will be required by the 3D production," explained RED founder Jim Jannard in a forum post. "The EPIC'S small size and relatively low weight, makes it perfect for 3D - where two cameras have to be mounted on each 3D rig." The EPIC has a 5k resolution and can shoot up to 120 frames per second – with RED explaining that it has designed the camera from scratch to produce a smaller, lighter camera that is "an order of magnitude more powerful". "Everybody at RED is incredibly proud that Peter has chosen the Epic" added Jannard. "The Hobbit is a major production, and could have chosen any camera system that they wanted. The fact that they went with us is extremely gratifying."